Sorghum, a top choice of livestock feed in China, is one of many Texas agricultural exports. 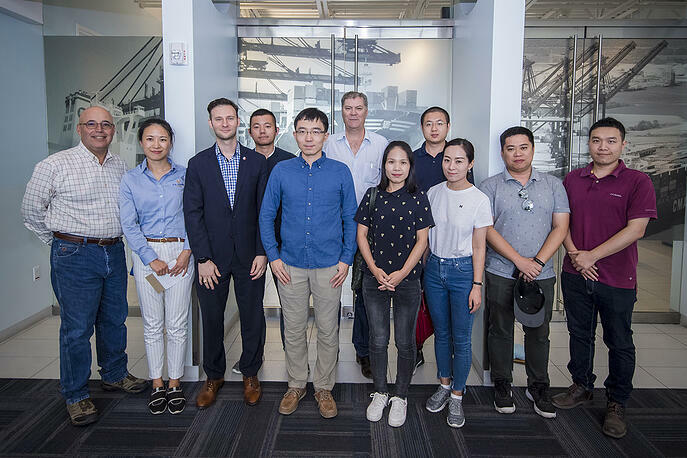 Port Houston Senior Manager of Trade Development Ty Reasonover met with the Chinese representatives and provided an overview of the port and its operations. In addition to its portfolio of two ultra-modern container terminals, the port has a six million bushel grain facility, now operated by a new tenant, the Lansing Trade Group. The facility is directly connected by road and rail served by Union Pacific, BNSF and Kansas City Southern railroads. Port Houston also has three weekly all-water services connecting East Asia to Houston via the Panama Canal and China is one of the fastest-growing trading partners for Port Houston. “The TransPacific trade is extremely important to our overall cargo mix here at the port,” added Reasonover.